Today I completed my second ultra-marathon of the summer, and in fact my second ever bona fida ultra! So I thought I ought to tell you all about it. 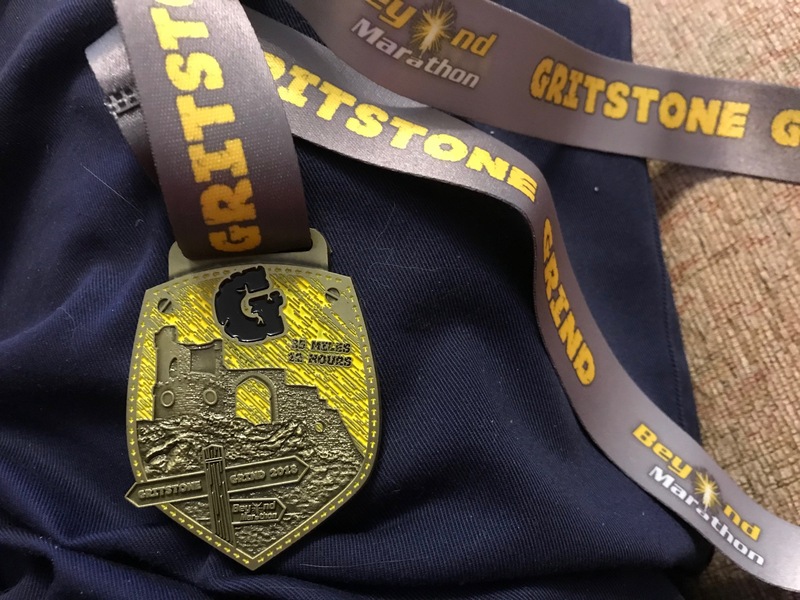 The Gritstone Grind is one of a portfolio of races organised by Beyond Marathon Ltd. As you might be able to guess, this small company specialises in long distance races. 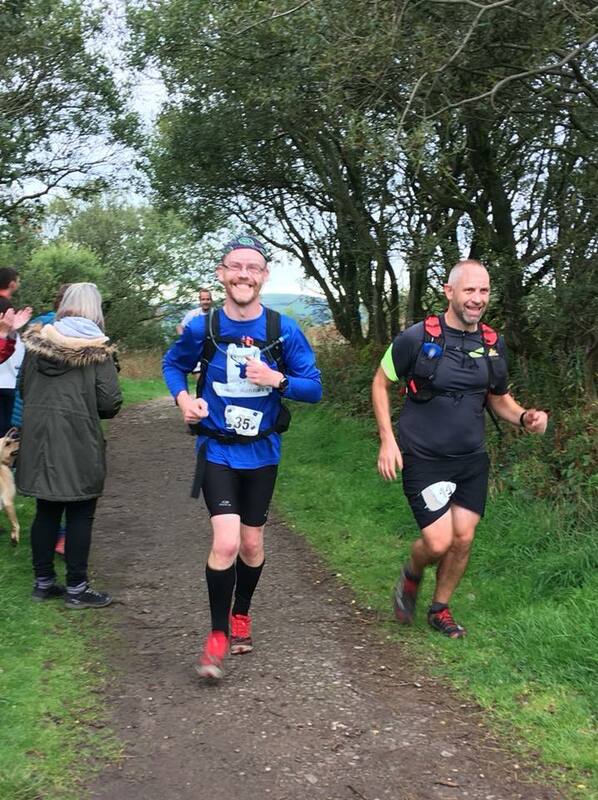 In fact the Gritstone Grind is one of the shorter ones at 35 miles – the weekend prior to this was the culmination of the Deadwater Race, a cool 235 miles from Scotland to Wales run over several days. What is the Gritstone Grind? The Gritstone Grind follows the Gritstone Trail from its start in Kidsgrove (Staffs) up to Disley (North Cheshire). The Gritstone Trail is a permanently marked route available to runners and hikers alike. Which makes laying out the course a bit easier I guess. 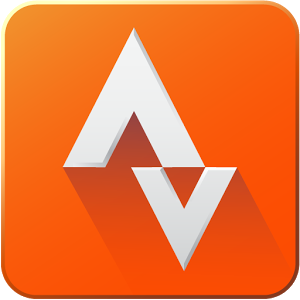 Although as you may recall from our recce of a large section of the route, the marking of the route does have it’s own moments, so you have to be aware to avoid disappearing off-piste in a number of places! So you might wonder why you’d pay to run along a permanently way-marked route. 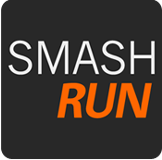 What does one get in return for the £26 entry fee – which in itself is nothing for a race entry for such a distance. Well for starters, it’s a point to point race, starting in Kidsgrove and finishing 35 miles away in Disley. So there’s a logistical matter of getting from the finish (or start) having got to the other end. As such, there were 3x coaches laid on to transport the runners from Disley, down to Kidsgrove in the first place. So to do it yourself you’d need to factor in some travel costs. And then there’s the 3 manned checkpoints with a decent array of food and drink supplied. That would be a lot of stuff to carry. And would probably get into a bit of mess by the time you wanted to dine. Not only was the event chip-timed, all runners were provided with a GPS tracker for the event. This was a last minute decision as you’d normally have to hire this. But it did give a channel to share with those keeping an eye on their loved-ones. And a chance for the organisers to locate anyone who fell off the route….. It also meant that they could do-away with self-clipping at each check-point with the process being done electronically. A selection of food was also provided at the end of the race. There were also options to purchase a t-shirt or a medal, but these were billed separately so you weren’t compelled to buy them inside an inflated entry price. So with that in mind, we all felt that the event was a great value for money. The Race – we’re off! On arrival at Disley in the morning, we picked up our race numbers, tracker and RFID device for the chip timing. Then onto the coaches and off to Kidsgrove, where we disembarked at the railway station, where the Gritstone Trail begins. Following a clear race briefing which included how to turn on the trackers we trotted down to the canal en masse, and at 8.30am we set off. We were in a group of 5, with 2 first-time ultra-runners. Now 200 people running along a tow path for the first 2 miles was a little challenging, but it did have the advantage that it limited the early pace whilst the terrain was flat. The only two flat sections are in the first 10 miles before the first check-point, and we discovered on the recce how easy it was to go out too quick. And then hurt like crazy as the going got tougher. Still, canal bridge 87 arrived all too soon and we left the canal and started the first climb to Mow Cop. To begin with this was a town tarmac road, but we soon were back on trails as we went around Mow Cop castle ruin. This was a section we missed on our recce as we didn’t leave the canal. It turns out the huge sign we were looking for was actually on the road above the canal. So little wonder we missed it! The section beyond the castle was a mixture of tarmac road and trails before finally leaving the road behind. I was aware that I’d left the others behind, but figured that they’d catch up at the checkpoint as we hadn’t been going long. The first section of this trail took us from the heights of Mow Cop back down into the valley where we ultimately picked up the Biddulph Way, a disused railway line. This is the only other flat section on the route and at least this time I was watching out for the right-turn which we missed when we did the recce. In fact, it seemed to take forever before we found it. I’m not sure if it was a psychological effect of not going wrong all over the place, but the next section which ultimately took us to the first manned checkpoint at Timbersbrook seemed to take no time at all. I took on some food, during which time the others caught me up. We set off together again and started the next climb up to The Cloud, which was the first electronic checkpoint. We wasted no time with some photographs! Before long we were heading off downhill and into the Cheshire Plain. In the distance we could see the telecoms tower that we would be heading towards. It always looks closer than it actually is. But at least we knew this time! We stuck together as a group as we headed towards ‘Cow Pat Field’ which we christened on the recce, for obvious reasons! However, when we got there, it was far lusher than previously, and seemingly ‘fertiliser free’ this time too! In addition we took a more direct line and were soon across to join a stream path. Which was almost as wet as the stream it followed. Cue much slip-sliding along, however we were soon past that and onto a brief section of road taking us to the section I really wasn’t looking forward to. We left the road and headed into the ‘infinite’ wooded section that seemed to take forever to cover on our recce. We actually began to make good progress, but as the climb started I found myself moving faster than the others. Having negotiated around a couple of parties of hikers I was getting further ahead and, not wanting to re-tangle with the hikers I kept on going. It was a section of consecutive uphill fields heading in the direction of the telecoms tower, although that remained hidden for some time still. I chatted to a few people on the climb up Minns End. Most people around me were walking. I tried to get into a routine on the uphills or trying to do some running each mile, so each time the gradient lessened, I tried a few strides and made up a few places until this section ended. We finally reached the climb onto Crockers Hill where the telecoms mast sat in all it’s 1960s hideous concrete-ness! Coming off the hill and following the trail finally brought us back to the main road and the Rylers Arms pub where the second manned checkpoint and feed-station was based. Just looking at my GPS trace, something went violently wrong here as I seem to have magicked off the hill and appeared on the road. If only! I took my time to let the others catch up, but even after an extended loo break, they were nowhere to be seen. So I followed a couple of other runners from the checkpoint and carried on. We were just beyond the half-way point and I was definitely feeling it! The route here was predominantly downhill, coming out in Langley next to a very empty reservoir. I was jogging along with another runner until we started the next big climb, up through Teggs Nose Country Park. He was meeting his family there, and some of the Lyme Runner friends had promised to cheer us on there too, which they duly did. And took my photo! On the Gritstone Trail at Teggs Nose – I’m smiling, but my body was hurting! As we got towards the visitor cafe the heavens opened. 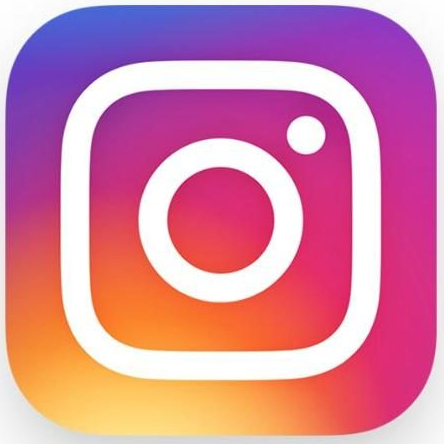 For about 90 seconds. The weather so far had been pretty decent, but here on in, it resorted to short sharp weather changes of all varieties! I left this runner with his family and carried on into the final section of the race, roughly 12 miles to go. It started off OK, with some grassy downhill but the climb onto Kerridge Hill was tough on the legs with a sizeable gradient. I’d caught up with another group of runners at Teggs Nose, but the climb slowed them down. They were following not far behind as I reached White Nancy, but then I lost them completely; no idea where they went. The decent from White Nancy is very steep. The ‘steps’ are treacherous under foot and the tarmac below is very steep. So I was glad to catch another runner and meander through the valley and up the climb to the final manned check-point and feed station. Final Checkpoint – almost home…..
With about 7 miles left to go, we were keen to crack on and 4 of us left the checkpoint together. The next section was a diversion due to a nearly collapsed ancient bridge causing the official route to be closed, so we buzzed along a quiet road until we could join a separate footpath which would join the Gritstone Trail a little further up. This was the only time when we left the Gritstone Trail. This next section was probably the most challenging with a 600ft climb over the next 1.5 miles, taking us high above Pott Shrigley up to the intersection with Bakestonedale Road (a road I’ve run up several times!). By the time of reaching Bakestonedale, four had become two and we continued going uphill onto the final summit, Sponds Hill during which we had a couple of minutes of heavy rain followed by a minute of hailstones! At least from the summit I could see Bowstones Farm and knew that the end was finally in sight. Well, sort of. You couldn’t see it. But I knew where it was! It was raining heavily as we ran down through Lyme Park to the point that I had to give up with the glasses entirely as I couldn’t see anything! 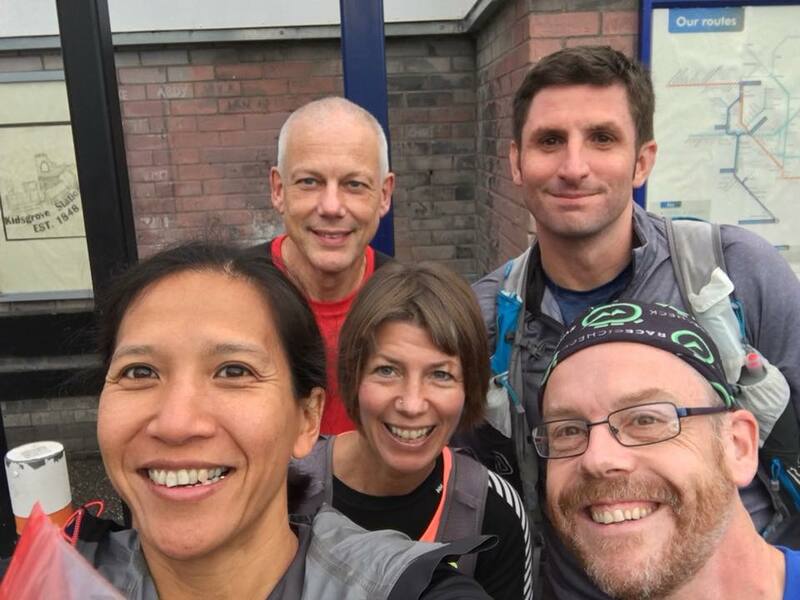 We caught up with a couple of other runners, although they all picked up a pace whilst I slowed as my legs were really beginning to complain about what I was doing to them! That said, we were all together as a group as we came out of Lyme Park via the East Gate and headed towards the final push along Green Lane. At least now we were going downhill on a relatively tame trail, in the knowledge that we were within a mile of the finish. We made a bit of a mess of the end of this section as there was a cut-through we had permission to use, but instead we ran right down to Disley Railway Station and had to pop out onto the main A6 before heading back up Buxton Old Road and to the Community Centre. A lap around the centre and I couldn’t find the finish. It was actually IN the centre!!! I crossed the line in 59th place after 7 hours 54 minutes and 35 seconds. At the finish was a wide section of pasties and pastries plus facilities to make tea and coffee. Someone commented that running must do something funny to you if eating a Ginsters pasty was now suddenly a good idea. I rehydrated with a couple of cups of tea, although didn’t eat a huge amount. The others arrived a few minutes after me, one at a time. So five of us went out, and five returned! Today was a tough day of running. There’s a lot of climbing and descending, even though the total climb was a lot less than at the Snowdonia Trail Ultra. That said, each climb was a lot smaller than the Welsh run. And whilst it’s an excellent route to do one’s first ultra, make no mistake, it’s not an easy option! I really enjoyed the event, although whether I’ll be able to move around tomorrow remains to be seen. A huge thanks to Beyond Marathon Ltd for this event and to all the marshals and volunteers who helped make today the success it was. 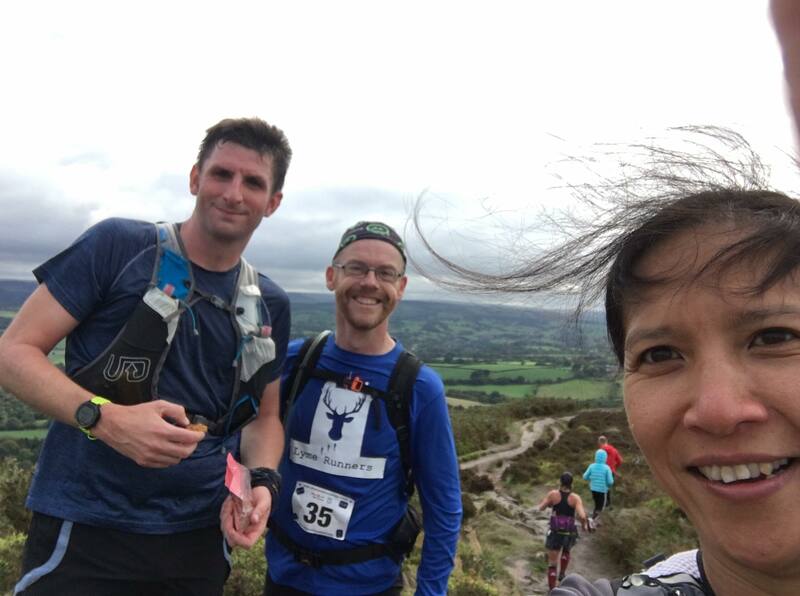 Be the first to comment on "Race Review – The Gritstone Grind"